one page KWl worksheet. 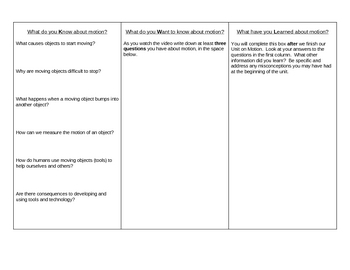 Students state what they know about motion, what they want to learn and what they learned after watching a video on motion. Can be used with any video on motion.